Throw your must haves in and head off on that weekend adventure with everything safe inside this monogrammed black trim weekender. 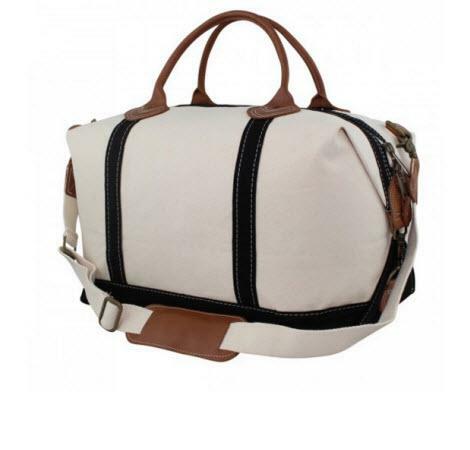 Be the talk of the campfire when you show up with this heavy duty cotton canvas duffel that is durable and will hold its shape. 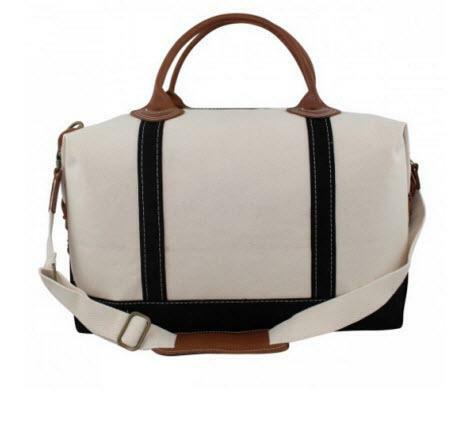 It features two open pockets attached to a larger inside zipper pocket to hold all your little necessities, a detachable and adjustable shoulder strap with leather padding for help lighten the load. 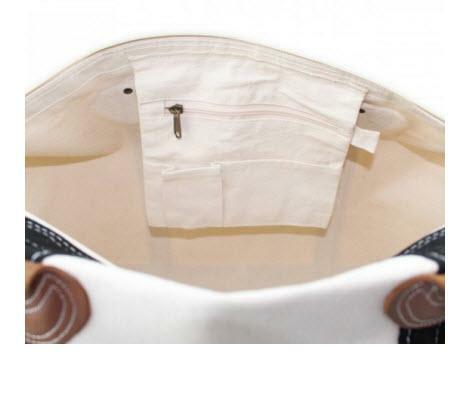 Zipper top closure will keep all your clothes in one spot. Add your favorite font in youor favorite color thread and monogram it for a one of a kind look! Make sure to have yours for any trip whether for a week or overnight travel. Also makes a great gift for any traveler or college student going to and from home and the dorm. Detachable and adjustable shoulder strap with leather padding.